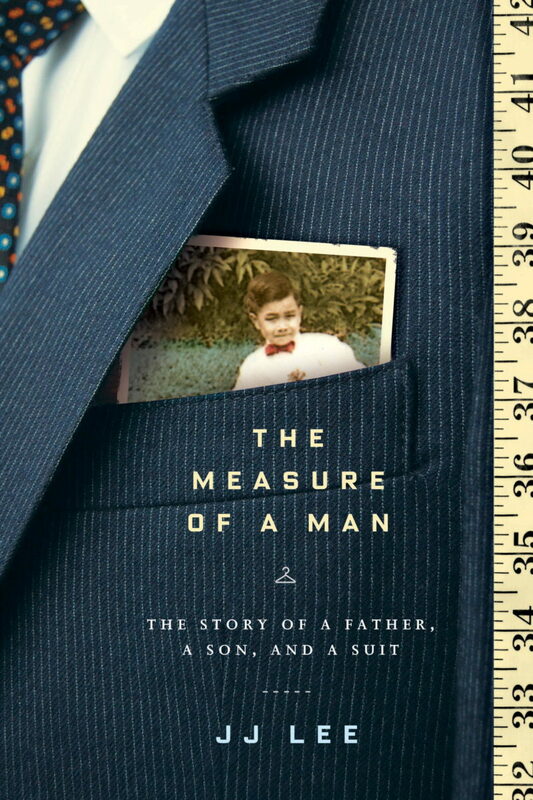 This month, the Colette Book Club will be looking at the world of men and menswear as we read The Measure of a Man: The Story of a Father, a Son, and a Suit. When journalist JJ Lee buys his first made-to-measure suit from an iconic Chinatown tailor, it’s the first step on a life-changing path. Transfixed by the peace and precision of the workroom, he starts hanging out at the tailoring shop. The tailors reluctantly let him train as an apprentice, even though they’re old and busy and don’t really have time for an apprentice, especially a 37-year-old apprentice who doesn’t know how to sew. But perhaps the tailors sense that Lee isn’t really looking for a job. He’s searching for something bigger. For Lee, suits are powerful symbols of identity and what it means to be a man. They’re also connected to the trauma of his family history. “There is a suit in the back of my closet. Over the years dust has gathered on its shoulders. I own other, better suits but I hold on to this one because, for me at least, it is special. The suit belonged to JJ Lee’s late father, an ambitious restaurateur with an addiction to alcohol that slowly destroyed his family. When JJ decides to re-tailor the ugly blue suit, he must come to terms with his past and the memory of a man he both loved and hated. Our next book will be Mademoiselle Chanel by C.W. Gortner. This novel imagines the inner life of iconic designer Coco Chanel. It is available at book stores or at your local library. You can read a sample here. Lastly, don’t forget to join the Colette Book Club email list! I loved this book’s many layers. And I am really interested in what others have to say about it. The good news is, I put this title on the order list for my library (I’m the director, so we’ll get it). The bad news is, we won’t get it until too late for this discussion and the closest library that has it is over 100 miles away. I did read part of the last book, but had to return the ILL before I could finish it. That one is on order for my library, too. Looking into next month’s title now. This book is sad but has so many interesting perspectives. Looking forward to discussion.